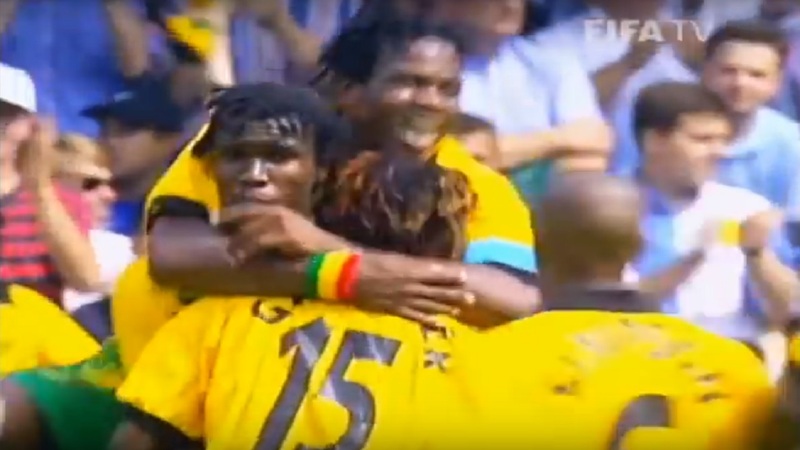 Screenshot of a video showing Theodore Whitmore being swarmed by other members of the Jamaican national football team after scoring against Japan in the 1998 World Cup in France. Twenty years ago, Jamaica and Japan made their debut at the World Cup. That edition of the greatest show on earth was hosted by France who eventually lifted the champion’s trophy due to the exploits of the master Zinadine Zidane and his talented team who outplayed the Brazilians in the final. 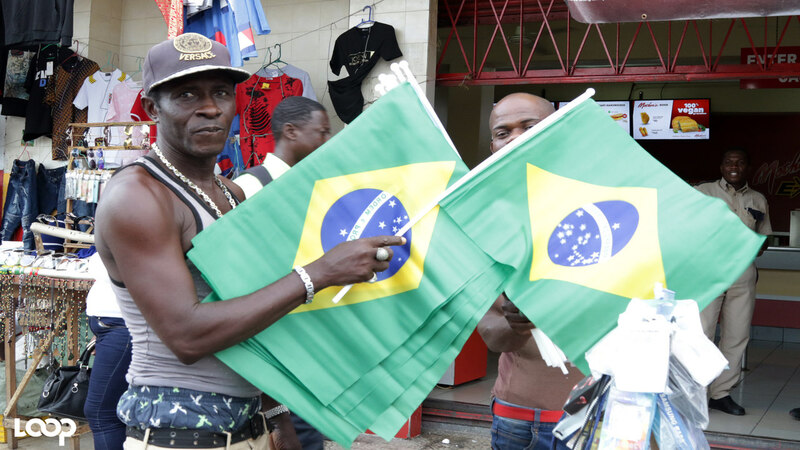 Months before when Jamaica qualified with a scoreless draw against Mexico at the National Stadium in Kingston, a national holiday was declared by then Prime Minister PJ Patterson and the nation was in the throes of football ecstasy. It was one of the few times in my lifetime that I saw the country truly united. 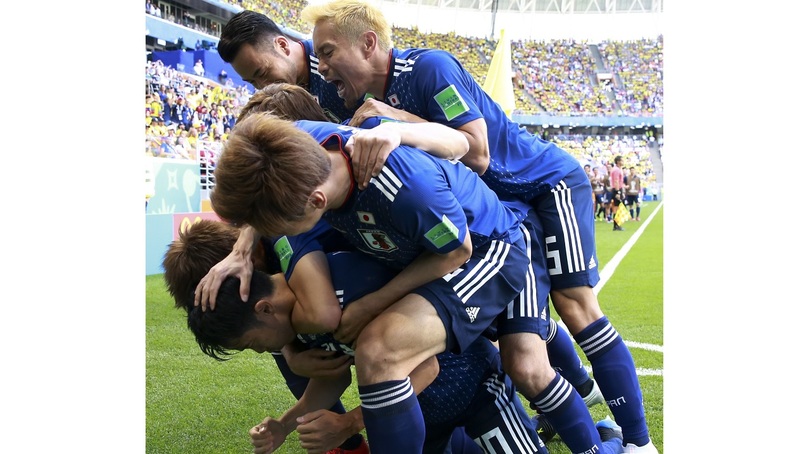 Since then Japan has appeared at every World Cup and have turned in some creditable performances, the latest being a plucky 2-1 win over the higher ranked Colombia. But what of Jamaica’s Reggae Boyz? In 1998 they beat Japan but have not been able to reappear on the world's biggest footballing stage since. As I sat watching Japan carve out their victory over 16th ranked Colombia, it dawned on me that the Japanese footballers were by no means more talented than the group of Jamaicans who last year finished as runners up in the Gold Cup. To add insult to injury, Iceland, a country whose population is about one tenth of Jamaica’s, started a football programme 10 years ago when about 10 per cent of that nation’s population played football. Yet they were able to hold Argentina and its talismanic maestro, Lionel Messi, at bay to eke out a creditable 1-1 draw. The first counter argument to any call for a serious look into what Jamaica has done and is continuing to do wrong will be that the country is strapped for resources. But is the situation so dire that we cannot even have good pitches? The pitches in Jamaica including the National Stadium, are atrocious and not at the internationally accepted standard. That is no secret. It is my view that Jamaica’s problem is the Jamaican culture of corruption and lack of political will to do the things which are right. Jamaica earned US$1 million for qualifying for the 1998 World Cup. The master tactician, Rene Simoes had, at the time, urged the powers that be to implement a sustainable youth development programme in order to ensure the nation’s continuing growth in the sport. Now 20 years later, Jamaica has no football programme, at any level to write home about. 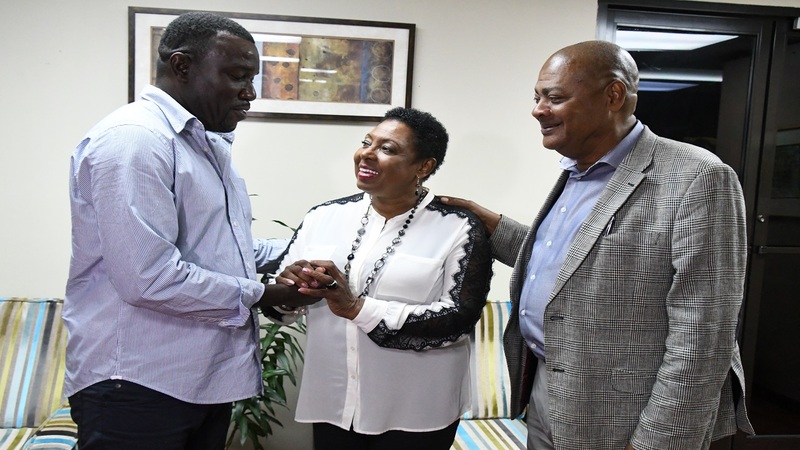 What became of that money and the grand plans that were announced by the Jamaica Football Federation (JFF) to build a first world training facility under the GOAL project? In September 2010, former FIFA head Sepp Blatter visited Jamaica and laid the founding stone for the GOAL project – which was approved in 2006. The project was to house the national football academy, which would be retrofitted with modern facilities, such as players’ dressing room, referees’ room and a storage room for equipment. The new centre should have also included two state of the art football pitches. What has become of the GOAL project? After eight years, still no centre? There can be no doubt that talent abounds in Jamaica. While I lived back home, the most exciting football competitions were the Manning Cup and Dacosta Cup competitions among schoolboys. This has been the case for years but as soon as those competitions end, there is no system in place to harness that talent and many of those gifted youngsters end up holding the corner, rolling a spliff and drinking 'specials' all day. 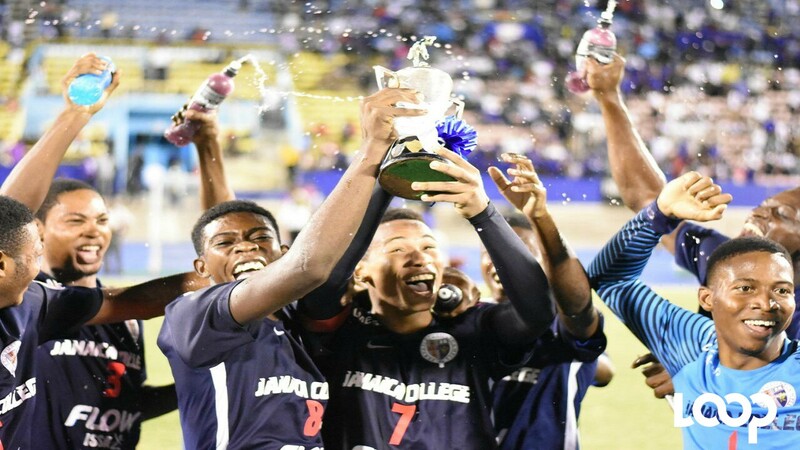 Members of the victorious Jamaica College Walker Cup team hoist the winner's trophy last year. Come on Jamaica, we have done it in track and field, so why not football? The high schools have already done half the work by providing a feeder system of talented youngsters, all that now needs to be done is organize a system to harness that talent, keep a core group of players together and the rest will fall into place over time. True words, but will the powers that be in football ever take heed? There is also another thing about the Jamaican culture that irks the mind and it has been at the forefront of our failed qualification bids for years. The JFF was in the past prepared to shell out big bucks to several 'past their prime' foreign coaches including Winfried Schafer and Bora Milutinovic, but just recently haggled with the man who scored two goals in that famous defeat of Japan in 1998 and has put his life and limb on the line for his country, Theodore ‘Tappa’ Whitmore, over a pay package. It was a disgrace the way he was treated by the JFF who saw it fit to disrespect our own son of the soil in such a manner. Is it that a reasonable remuneration package is too good for a boy from the country who speaks just like us? Coach Whitmore has produced results just as good and in most cases better than all the above-mentioned coaches. In the last edition of the CONCACAF Gold Cup, the team finished a creditable second to hosts USA, with Whitmore using a squad of players drafted from the local football programme. The move was a refreshing change of tactic from the tried, tested and failed policy of former administrations to scout for the services of players whose grandparents went to England during the Windrush generation and who have no hopes of playing for that country. It is my view that some of those players only play for the black, green and gold to shore up their resumes with a World Cup appearance. 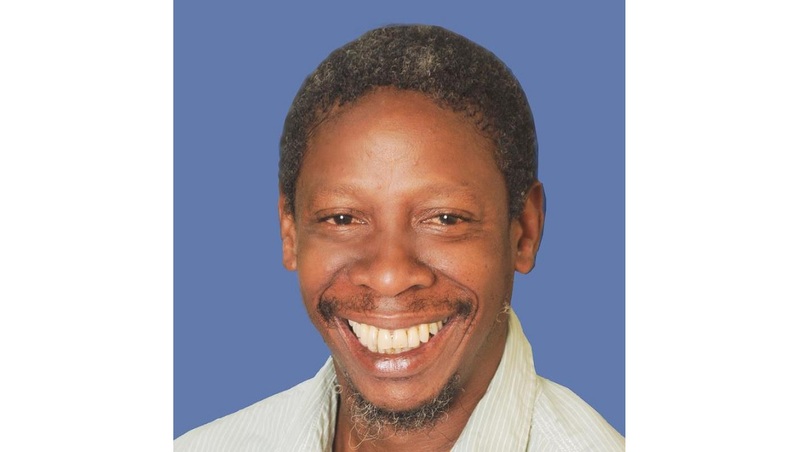 After the country’s only appearance at the World Cup in 1998, a then teenaged Ricardo ‘Bibi’ Gardner was signed by British club, Bolton Wanderers for one million pounds. Twenty years on, no Jamaican player, with the exception of Leon Bailey, has been worth more. Bailey does not appear to be the unifying force that the national programme needs, and if it were up to me, I would move forward without him. The last time I checked there was no I in the word team. 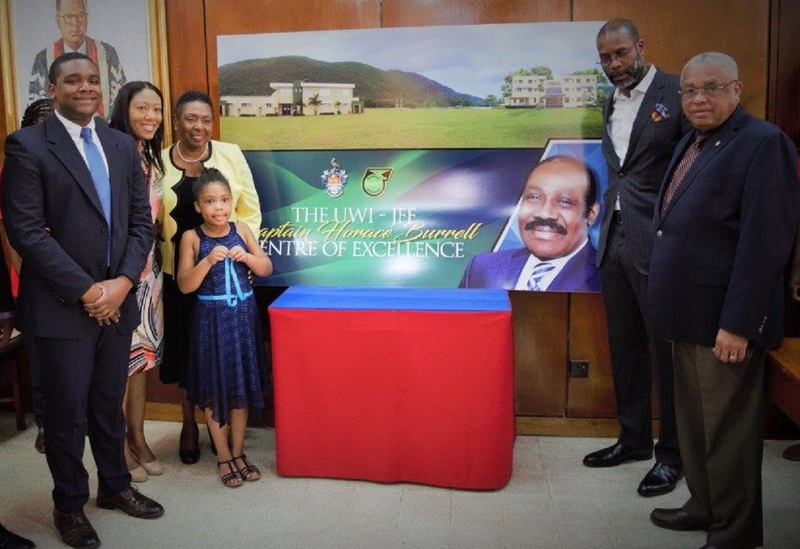 Besides, we have too much gifted footballers in every nook and cranny of Jamaica who, if their talent is properly harnessed and honed, could do so much more than Bailey on the world scene. Jamaica, it is not just with football, but in most areas of life. We need to start looking inwards for solutions and shake off the monkey of corruption and self-hate and take the first step to reclaiming our place as the capital of the world.